Online casino software is one of the crucial investments when opening a web-based casino. The gambling software you use in your casino dictates a lot of variables like the experience players get. Your choice of a platform also determines the level of security, maintenance and types of games it offers. Casino operators buy gambling software from third party providers. 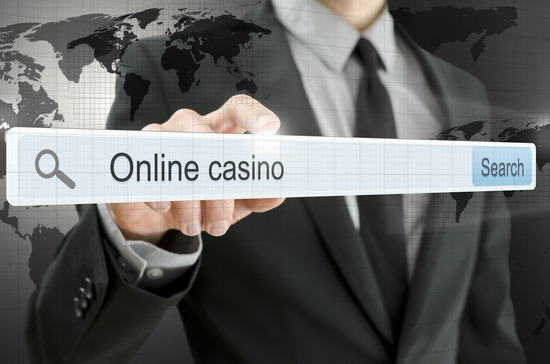 When purchasing online casino software, understand its objectives before you pick a vendor. With the proliferation of online casino games, providers keep flooding the market, making it hard to select the right one. Here are top gambling software providers to try out. Net Entertainment is a notable name in online casino gaming and a pioneer in the business. Established in 1996, NetEnt has been providing award-winning software for online casinos. The generous payout engines and jackpots are some of the reasons players have come to prefer NetEnt games. The company is famous for its visually-appealing games with sophisticated 3D graphics. Players get great sound effects, which increases the engagement of the games. The captivating introduction to games doesn’t hurt either. NetEnt has also entered the mobile gaming market, which gives it an edge over most gaming providers. NetEnt offers slot games such as Dead or Alive, Jack Hammer 2 and Alien. In total, it has 18 table games and 2 with progressive jackpots. Microgaming is among the outfits that revolutionised online gambling with the release of the first online casino software. Over 400 casinos the world over use the company’s gambling platform. It has a long list of real money virtual casinos, which are available on both desktop and mobile. Some of these include baccarat, keno and video poker. Microgaming is also changing the live casino market with its luxurious live dealer suites. Online casinos can get live Play Boy Bunny dealers, and croupiers to spruce up the experience for players. The live dealer suites from Microgaming are the only ones on the market with ECOGRA approval. Another recognised brand on the list of game providers for online casinos is NextGen with their fascinating table and slots games. NextGen partnered with NYX, which is responsible for maintaining the platform while the former party develops the games. The two worked to create 3D games that carved their niche in the virtual gaming market. There are over 300 games online provided by this vendor. The gaming provider has a list of 3D slot games that include Judge Dredd, Medusa II and Foxin Wins. Next Generation also developed the 243 Ways it Win system, which was first tested on the Medusa II slot machine. As with NetEnt, NetxGen runs its own progressive jackpot network. Cryptologic is a pioneer in virtual gaming in its own right. It started out as a security provider for online casino games. When Microgaming first released its online gambling software, Cryptology provided the casino management system. It was responsible for monitoring user accounts and using that information to improve the gaming platform. Then Cryptologic moved into the casino software market and released its software to operators. The vendor is renowned for its DC Comics titles like Superman, Elektra and Thor, among others. It also acquired the rights to develop Marvel-themed games, which is another selling point of its online casino game. Some of the games are still available in most online casinos. Cryptologic allows some of its games to run on the Microgaming real money platform. Malta-based Betsoft has a reputation for producing superior quality games, which makes the company a suitable consideration for game providers for online casinos. A number of popular online casinos use Betsoft’s platform, which offers alluring 3D graphics. Some of these casinos even accept U.S players, and that gives international access to Betsoft games. The provider has slots and table games for both desktop and mobile. 3D Poker, Caribbean Poker and Texas Hold’em are some of the options that buyers get. ToGo and Slot3 are two online casino software developed by Betsoft that have changed the virtual gaming industry. Players can get Betsoft games on Instant-Play meaning, they don’t have to download additional software. Thunderkick is one of the newest game providers for online casinos and its slowly establishing a following in the virtual gaming field. The founders of the gaming company were originally from NetEnt, so buyers can expect a certain level of game superiority and quality. “ Quirky” is what most reviewers call Thunderkick’s platform as it focuses more on fun than anything else. Players should not count on finding conventional casino games on this platform. The games available include Toki Time, Esqueleto Explosivo and Sunny Scoops. Thunderkick also carries games from Play’n GO, NetEnt and Microgaming.